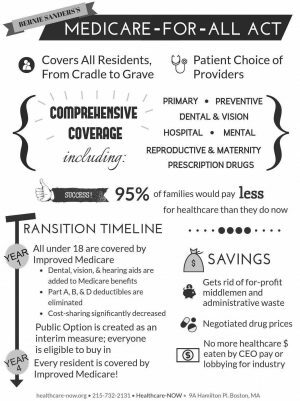 Updated with recent data and patient stories, our 2019 Improved Medicare for All booklet is an introduction to the U.S. healthcare crisis and the single payer solution. 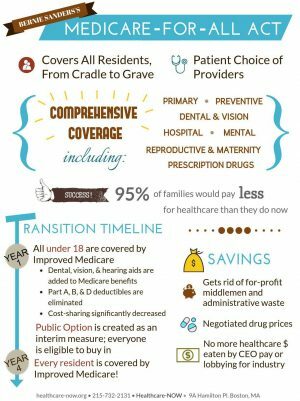 Single Payer Activist’s Guide to the Affordable Care Act is Healthcare-NOW’s guide to identifying the most important organizing opportunities that implementation of the ACA will create for building the single payer movement. *discounts available for Healthcare-NOW! affiliates and members, please inquire. 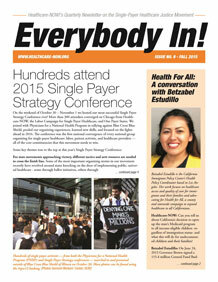 Our quarterly newsletter, Everybody In! 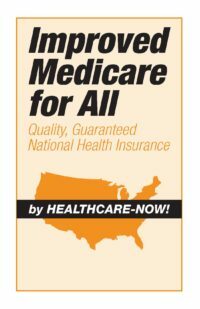 The newsletter aims to highlight single-payer activism from all over the country. Additionally, Everybody In! includes policy updates, interviews, and commentary. Everybody In! is sent by mail to all Healthcare-NOW! members in good standing (anyone who’s donated in the previous 12 months). If you’d like to receive Everybody In! by mail, please donate any amount here.